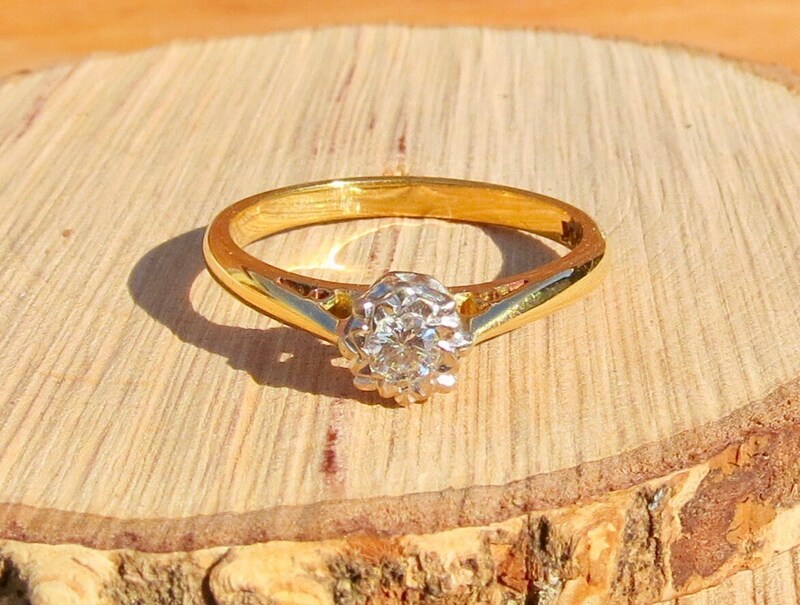 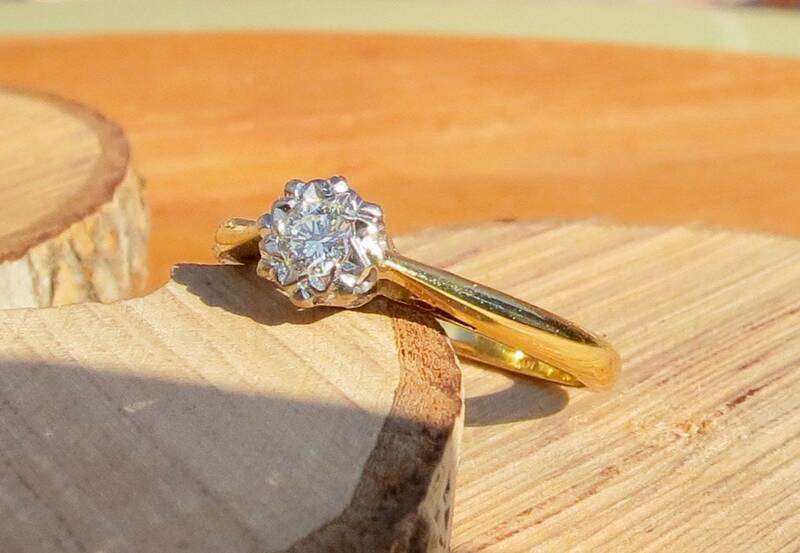 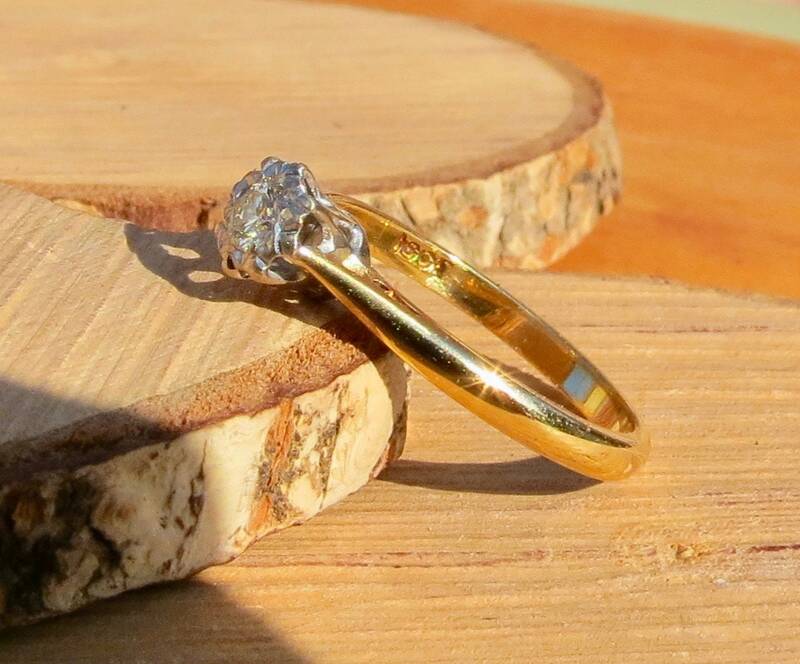 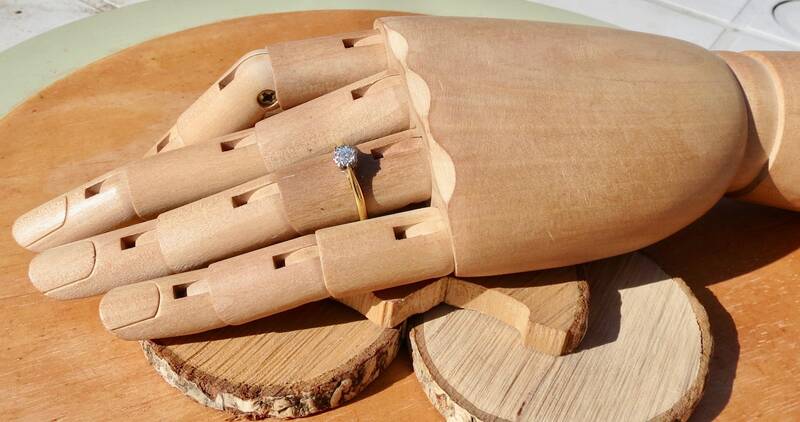 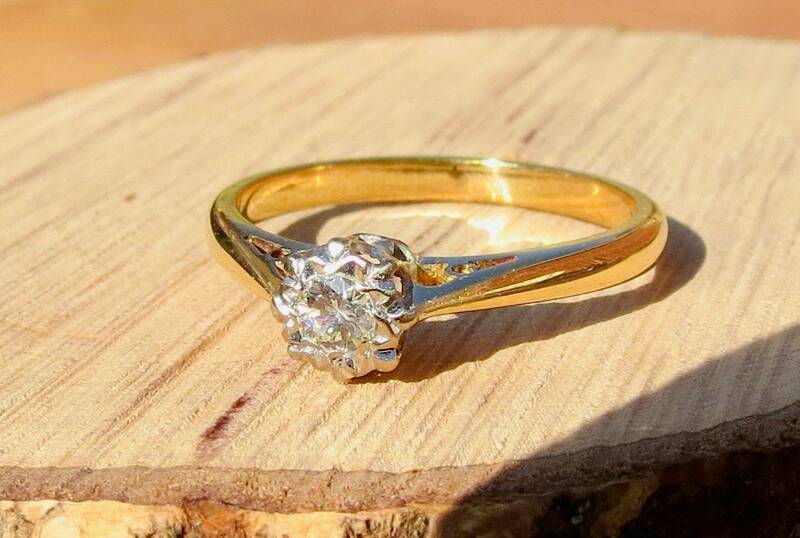 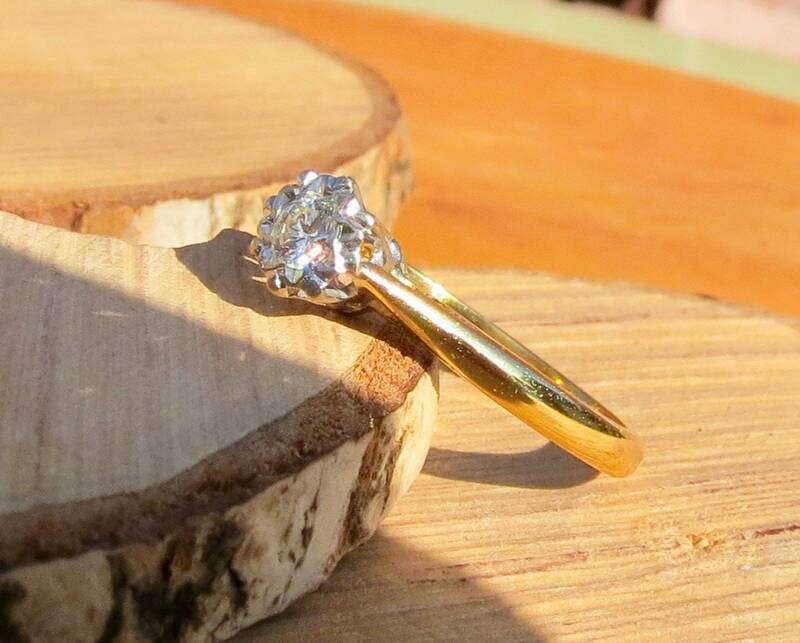 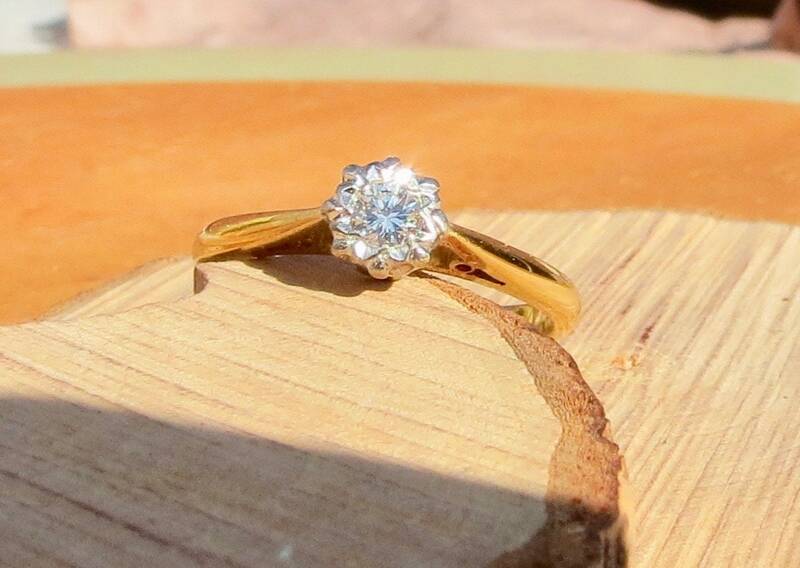 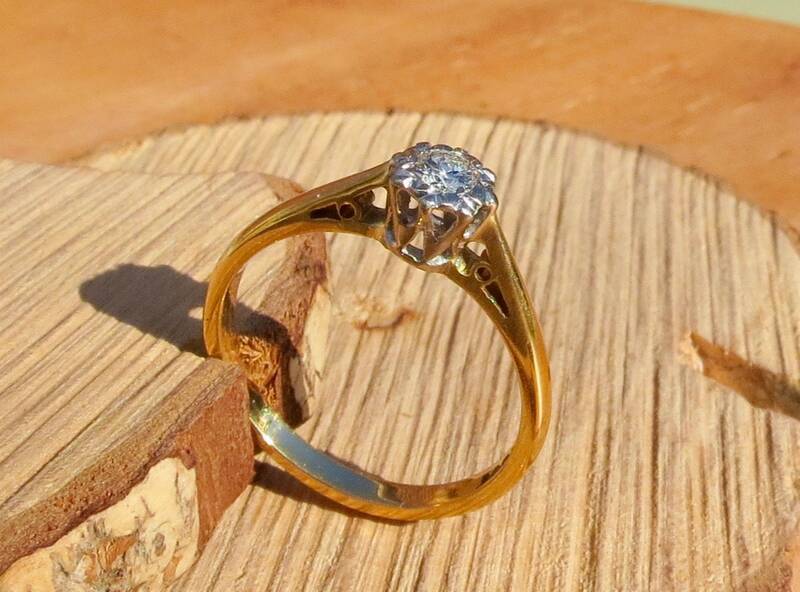 A fine vintage 18k yellow gold engagement ring with a brilliant cut solitaire diamond mounted in an illusion setting. 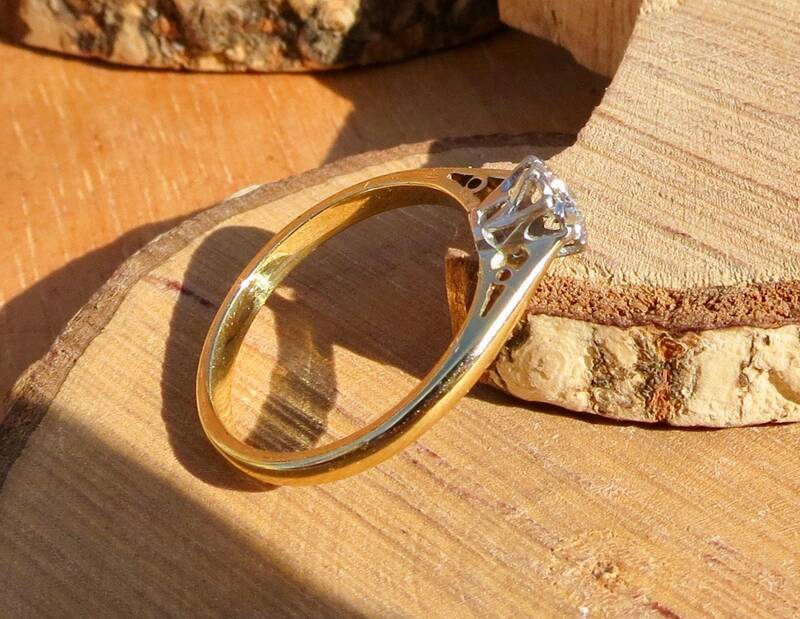 Chenier shoulders lead leading to a plain band. 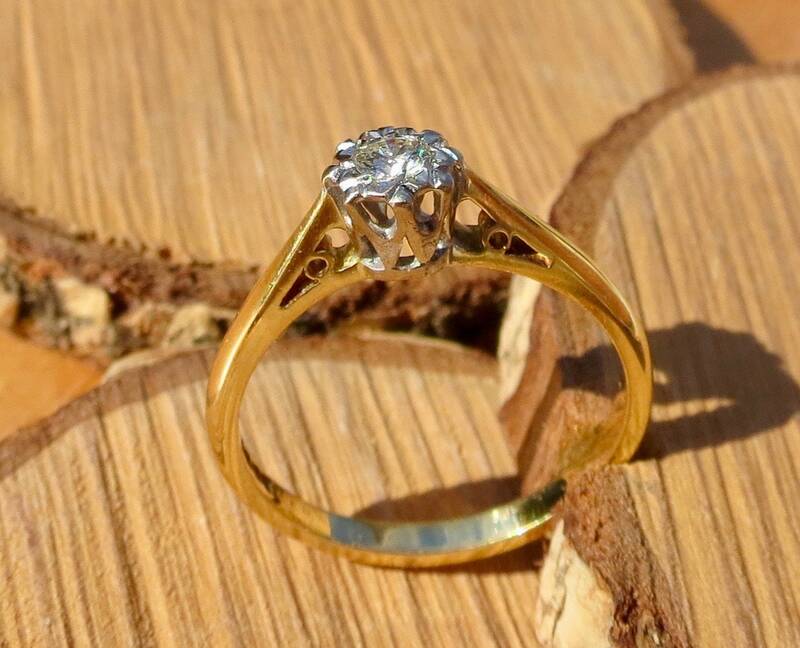 The diamond is a brilliant cut, in fine condition, no scratches or chips.